Wearing a superb pair of headphones is essential to every outdoor enthusiast. People who enjoy the casual jog in the morning or an exercise routine in the gym are likely to understand the importance of high-quality music. We’ve made this Phaiser BHS-750 review, a superb pair of wireless headphones for people who want to contribute to their success in exercise with perfect, HD-sounds. We’re excited to take an in-depth look at these budget and quality-friendly headphones made by Phaiser. Just like their predecessor, the Phaiser BHS-750 comes in the most attractive appearance. The manufacturer has kept the essential comfort inside of them. Additionally, the buds are equipped with a special Liquipel Nanocoating technology that permanently prevents the sweat drops falling inside of your headphones and damaging them. This being said, the manufacturer guarantees safe and dry workout, without accidental damage. 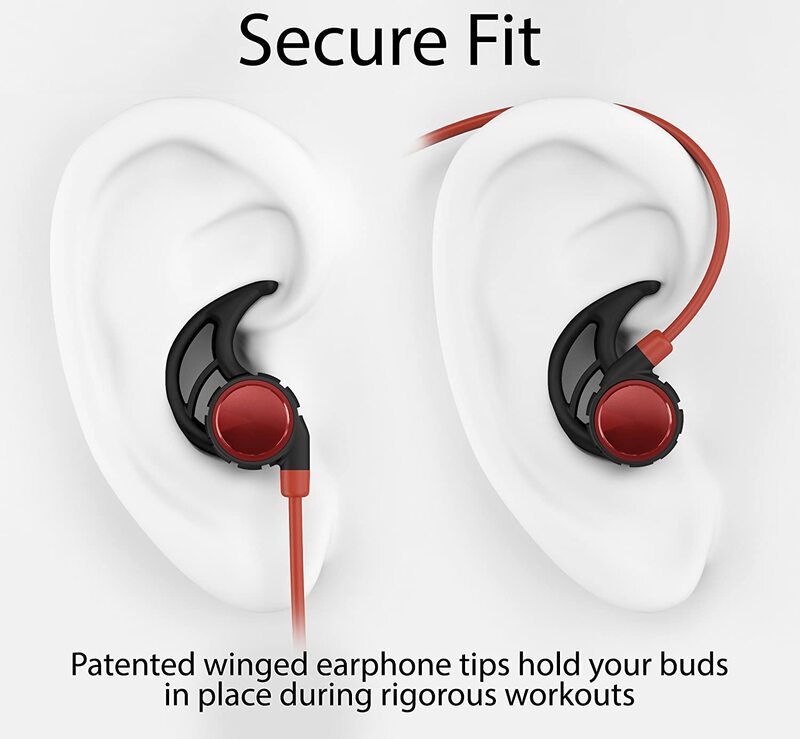 Also, the winged tips will hold the buds in a fixed position even during the most demanding workouts. Just like its name suggests, the secure fit mechanism will fix your buds in one place. We know that working out can be very rigorous at times. This means that the earbuds can fall out while running or lifting weights. The Phaiser BHS-750 has a sufficient protection from falling with either over- and Under-Ear options. Therefore, you can rest assured that the Secure Fit mechanism will meet all of your expectations. The imbued 8mm Speakers are combined with an A2DP feature to create a crispy, accurate, and clear high-definition sound with powerful bass that fits with every music style. You will be impressed with the sound of quality that comes out of these speakers. The speakers are capable of producing superb power and volume, while the bass is accurate, deep and rich in tone. They have everything that can inspire a productive workout. 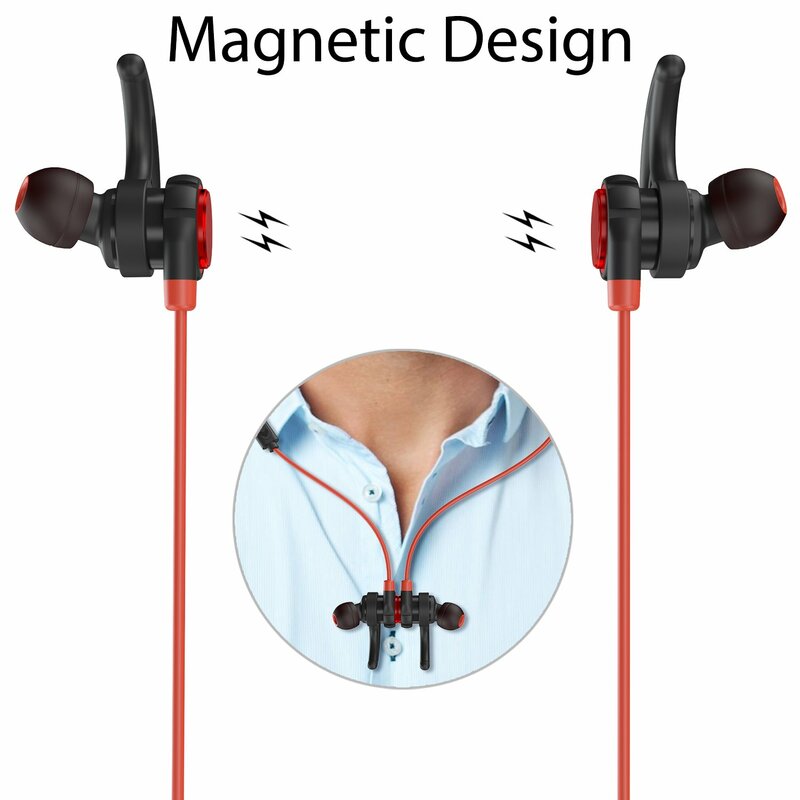 The magnets are located at the rear of each ear-bud. They are small neodymium magnets that connect together in other to be held securely around the neck. When the earbuds clasp, the whole set looks like a lovely necklace, making this feature quite beneficial when it comes down to taking breaks at the gym or having a deep conversation with someone. Moreover, you won’t have to spend immense time in searching them in the pocket. Magnets will ensure that the headphone is easy to find and pick-up from the pocket. When it comes to the noise, machines that are used at the gym can be very loud. Unfortunately, the other exercise participants can be loud as well. This is where the Phaiser’s Comply T-400 memory foam comes. It covers the tips in order to prevent the outside noise coming in the headphones and provide an amazing audio experience. 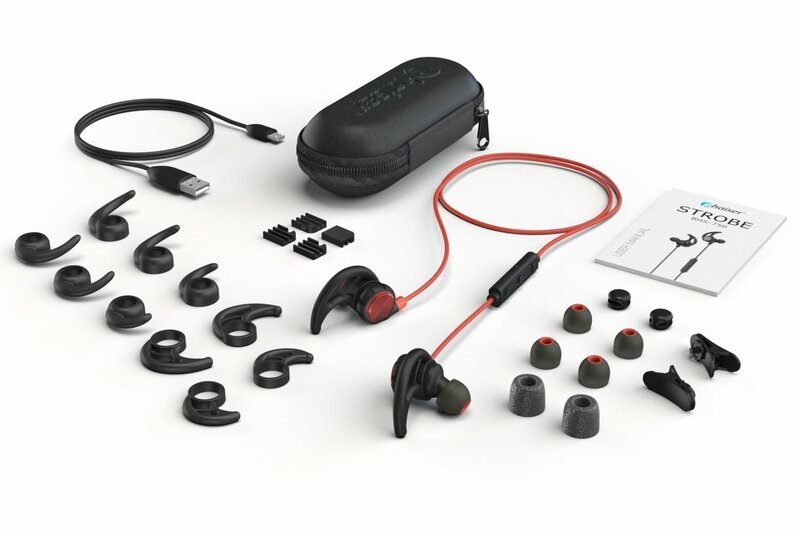 They work as an upgrade and represent a very soft material compared to the competitor headphones, as it fills the space around your inner ear. This way, you’ll be able to focus purely on your favorite music while working out. The microphone is etched inside the inline controller. You will find it in a compact pinhole. The feature is very intuitive because there is no need to cancel your music or take the headphones off in order to answer the calls. The music will resume itself on its own once the call has ended. Accepting and denying the calls works quite simply as well. All you have to do is to click the buttons imbued at the inline controller. In terms of quality, the microphone works well. We’ve tested it several times with different calls and the voice came out clear, loud and accurate. Just keep in mind to keep your microphone at 30 feet to your phone, and everything will work out fine. Checkout Phaiser BHS 730 Review here. The Phaiser BHS-750 looks similarly like the BHS 730 model, featuring the modest design, while the winged tips look extremely attractive and innovative on these headphones. The black color looks absolutely outstanding, with the little silver that compliments the center of each earbud. You will find the metal pieces of an aluminum-magnesium alloy that cover the outside surface of each earbud. This material is extremely solid and it is found on the vast majority of the airplanes. Upon touching the headphone you will notice the durability that adds to its design while feeling sturdy and solid. It’s far better than plastic because the metal build lasts much longer than even the best quality plastic. The cables of the headphones are rounded (Checkout more about rounded cables). While this combination is not the best available one, we didn’t have any troubles using them. The wire never stood out and didn’t cause any kind of problems. The cable provides a safeguard for the wire to be built-in, as the headphones are capable of withstanding a light abuse. The Phaiser BHS-750 is available in three colors which are blue, black and red. The blue and red are very nice and vibrant, they will look lovely with every device that they’re paired with. We know that not everyone is comfortable with the casual black color. However, we’ve decided to stick with it in this review. There are many words that could describe the performance of the Phaiser BHS-750 but, I will go with the word outstanding. As a result of the 8mm speakers, you will be greeted with the warm and crispy audio performance that definitely pumps up the hype. Combined with the right genre of music, these headphones are unstoppable. This model supports the latest Bluetooth technology, the 4.1 version of Bluetooth. It ensures that the connecting to the mobile device is safe and agile. Thanks to this innovative Bluetooth technology, the battery life of headphones is immensely improved. Even though they have the latest Bluetooth 4.1 technology, their battery exceeds our expectations. The battery is capable of withstanding the continuous use of 7 hours which is quite impressive. If you use the best out of its features, the battery is not likely to survive that long. However, if you don’t overcharge them, the battery can survive for a couple of days without recharging. Perhaps, you should make it your habit to recharge these headphones after each workout but, not overcharge them because it can jeopardize the overall battery durability and life. Not only they help motivate you in your training endeavors but, they will stay fixed in your ears thanks to the secure fit mechanism. Like mentioned before, they are sweat resistant and water resistant in general. You can rest assured that your earbuds will remain dry even when you’re going hard on yourself in terms of working out. Even though they are recommended for the outdoor enthusiast because of their fixed positioning, we recommend these headphones to everyone who enjoys the charms of loud and powerful music. Mainly because these headphones are simple and straightforward in terms of their design but, they deliver superb performance. They are very versatile for any genre of music. We have carefully tested the durability, design, features and performance of these headphones. We find that many headphones in the competition offer similar performance but at a much higher price. That’s why we concluded that the Phaiser BHS-750 are a great value for the price, they deliver a high-quality audio output and a durable design. The BHS-750 comes with a lot of notable features but also with a couple of drawbacks. However, if you can accept these minor flaws, and live with them, there is nothing wrong with these headphones. Rounded cables are decent. But, you will find that flat cables appear to be less of tangling. It has an average battery life that ranges between five and seven hours. Luckily, the battery is easily rechargeable and it charges back up relatively agilely. 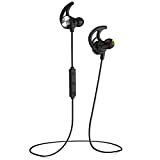 In this short review highlight, we will mention the most notable features of the Phaiser BHS-750 Features- The sweat resistance and fixed position for the earbuds that don’t fall out made us fall in love with these headphones. Design- They look casual and straightforward. They are available in three colors red, blue and black. Performance They are comfy and eligible for hours long wearing. They also produce outstanding sound and have a clear microphone. Price- In their original pricing, they may appear way too expensive for the average budget. However, now that they are on sale, they are available to everyone who respects high-quality music.